It’s important to remember that today’s political, social and business leaders were pretty much watching “The Jetsons” on repeat during their most impressionable years. People are often shocked to learn that “The Jetsons” lasted just one season during its original run in 1962-63 and wasn’t revived until 1985. Essentially every kid in America (and many internationally) saw the series on constant repeat during Saturday morning cartoons throughout the 1960s, ‘70s and ‘80s. Everyone (including my own mom) seems to ask me, “How could it have been around for only 24 episodes? Did I really just watch those same episodes over and over again?” Yes, yes you did. But it’s just a cartoon, right? So what if today’s political and social elite saw “The Jetsons” a lot? Thanks in large part to the Jetsons, there’s a sense of betrayal that is pervasive in American culture today about the future that never arrived. We’re all familiar with the rallying cries of the angry retrofuturist: Where’s my jetpack!?! Where’s my flying car!?! Where’s my robot maid?!? 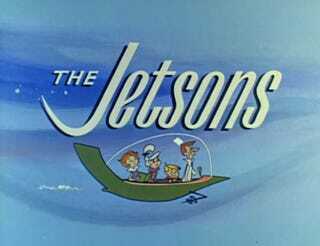 “The Jetsons” and everything they represented were seen by so many not as a possible future, but a promise of one. This nostalgia for the futurism of yesteryear has very real consequences for the way that we talk about ourselves as a nation. So many people today talk about how divided we are as a country and that we no longer dream “like we used to.” But when we look at things like public approval of the Apollo space program in the 1960s, those myths of national unity begin to dissolve. Public approval of funding for the Apollo program peaked at 53 percent (around the first moon landing) but pretty much hovered between 35-45 percent for most of the 1960s. Why is there a misconception today about Americans being more supportive of the space program? Because an enormous generation called Baby Boomers were kids in the 1960s; kids playing astronaut and watching shows like “The Jetsons”; kids who were bombarded with images of a bright, shiny future and for whom the world was much simpler because they saw everything through the eyes of a child. If “The Jetsons” is so important and resonated with so many viewers, then why was the show canceled after just one season (though it was revived in the 1980s)? I’ve spoken to a number of different people about this, but I haven’t heard anyone mention what I believe to be the most likely reason that “The Jetsons” wasn’t renewed for a second season: color. Or, more accurately, a lack of color. “The Jetsons” was produced and broadcast in color, but in 1962 less than 3 percent of American households had a color television set. In fact, it wasn’t until 1972 that 50 percent of American households had a color TV. The Jetsons’ future is bright; it’s shiny; and it’s in color. But most people watching on Sunday nights obviously didn’t see it like that. The immersive world of “The Jetsons” looks far more flat and unengaging in black and white. And unlike the other network shows it was up against on Sunday nights (which was in most markets “Walt Disney’s Wonderful World of Color” on NBC and “Car 54 Where Are You?” on CBS) “The Jetsons” suffered disproportionately more from being viewed in black and white. NBC also had an incumbent advantage. If you’d made “Walt Disney’s Wonderful World of Color” appointment viewing for the past year (Disney jumped ship from ABC to NBC in 1961 where they not only began broadcasting in color, but added “color” to the name) it’s unlikely you’d switch your family over to an unknown cartoon entity. “The Jetsons” was the first show ever broadcast in color on ABC, but it was still up to individual affiliates as to whether the show would be broadcast in color. According to the September 23, 1962 New York Times only people with access to ABC’s owned-and-operated stations in New York, Chicago, Detroit, San Francisco and Los Angeles were guaranteed to see the show broadcast in color—provided you owned a color set. I’ve taken some screenshots from the DVD release of the first season to show just how dramatic a difference color can make with a show like this. There are a lot of “what-ifs” in “The Jetsons” universe that may have had substantial bearing on politicians, policymakers and the average American today. If we accept that media has an influence on the way that we view culture, and our own place in the future—as “The Jetsons” seems to ask us to do—we have to ask ourselves how our expectations might have changed with subtle tweaks to the Jetson story. What if George took a flying bus or monorail instead of a flying car? What if Jane Jetson worked outside of the home? What if the show had a single African-American character? These questions are impossible to answer, of course, but they’re important to recall as we examine this show that so dramatically shaped our understanding of tomorrow. Obviously the 1985-87 reboot of “The Jetsons” TV show played an important role in carrying the futuristic toon torch, but it’s in many ways an entirely different animal. The animation simply has a different feel and the storylines are arguably weaker, though I certainly remember watching them along with the original reruns when I was a kid in the 1980s. There were also movies produced—1990’s The Jetsons was released theatrically and the made-for-TV movie crossover The Jetsons Meet the Flintstones first aired in 1987. But for our purposes, we’ll just be exploring the first season and its immediate influence during the American Space Age. With talk of a live-action Jetsons movie in the works, it will be interesting to see how a revamped Jetsons might play today. I spell Rosey the way it appeared in merchandise of the 1960s. Yes, you’ll sometimes see it spelled “Rosie” in video games and comics of the 1980s, but since our focus is the first season I’m sticking with Rosey. The show never mentions “within world” what year the Jetson family is living, but for our purposes we’ll assume it to be 2062. Press materials and newspapers of 1962 mention this year, even though the characters only ever say “21st century” during the first season of the show. Orbitty is from the 1980s reboot of The Jetsons. Orbitty, a pet alien, is essentially the Jar-Jar Binks of the Jetsons’ world and you probably won’t see me mention him again. The Jetsons, of course, represents a nostalgia for the future; but perhaps more oddly, it still represents the future to so many people who grew up with it. I’m excited to get started on this project and welcome your comments throughout this process, especially if you have vivid memories of the show from when you were a kid. I know I certainly do — I turned it into my career!